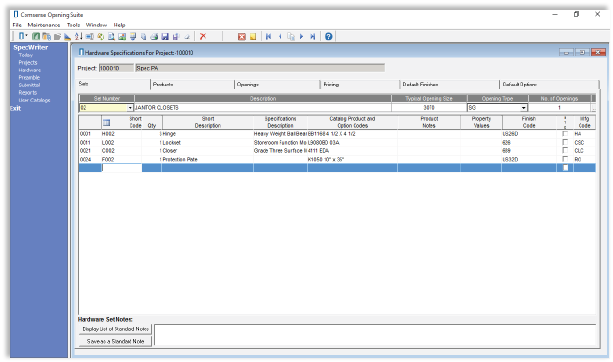 Use Comsense Specwriter to generate architectural hardware specifications. Start jobs from your library of typical projects so you never have to start a new project from scratch. Build up your hardware sets from product in our extensive database of over 100 brands. You can also access our extensive database of product images to include with your spec. 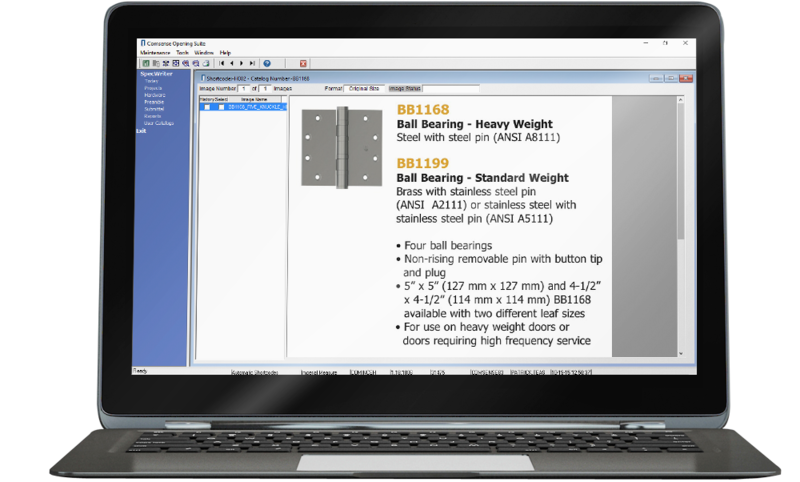 Pull together all of your spec sections including your standard specifications, hardware sets, and product images into a single Microsoft Word document.